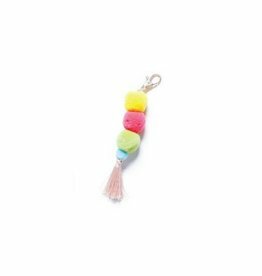 Add a splash of color to your keys, beach tote or everyday bag with our pom + tassel keychains! Mix and match by adding multiple designs together for a playful and fun look. 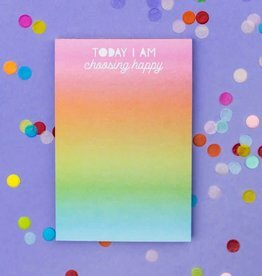 We believe in surrounding yourself with motivational reminders and this notepad is just that. Each and everyday, let's choose to be happy! Cute erasers? Yes, please! We love a cute eraser and this set is no exception. 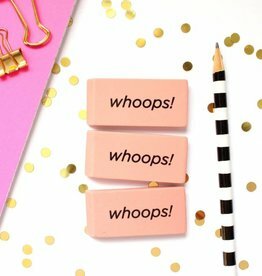 These erasers are perfect for those "Whoops!" moments. 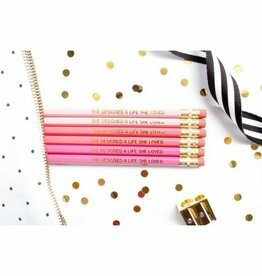 Add a set of our pencils for a super cute gift! This bright set is perfect for the visionary and dreamer in your life. These pens are the definition of bright and motivational. Pair this set with a notepad and you've got the perfect pieces for a colorful and inspirational work space. We love this saying...and the bright colors. What more do you need to motivate and brighten up your work space? This set is a great gift or even a gift for yourself. 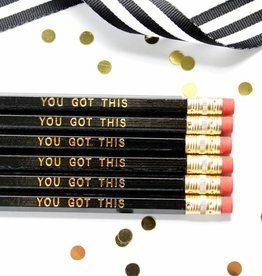 This set has a great and encouraging reminder for the test taker or the friend that needs a little motivation. This set is a great gift or even a gift for yourself. 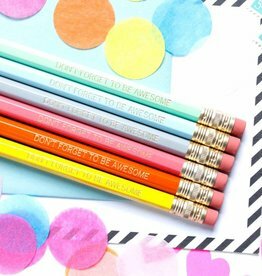 Great saying and bright colors, what more do you need to brighten up your desk? 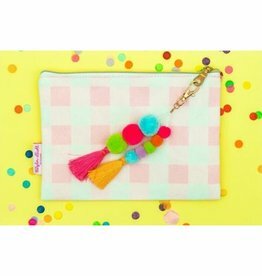 These pouches are perfect for work, play, travel and school! Stash your pens + pencils or use your pouch to store your jewelry as you travel, the possibilities are endless! We love this design and saying! It is fitting for any big dreamers and go getters! 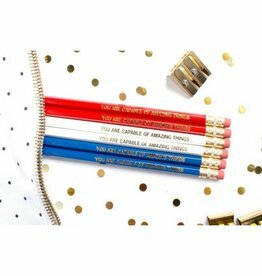 This pencil set is motivational and patriotic. 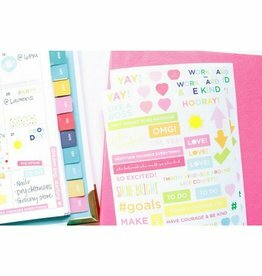 Dress up your planner with our new motivational stickers! This set includes 6 sheets with 312 stickers! Introducing the newest product from Taylor Elliott for all of you pen loving ladies! 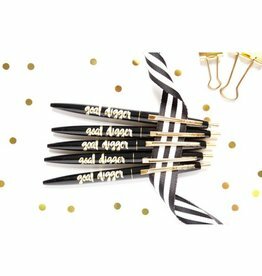 We are crazy about these pens because of the gorgeous gold accents! 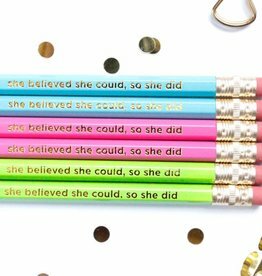 These are perfect for a small gift of encouragement! We're loving our new pink on pink pen set! This set includes 3 hot pink pens and 2 light pink pens, all pens have black ink. 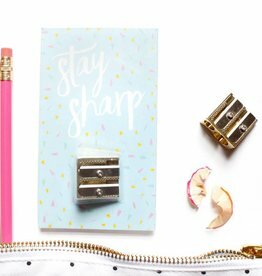 Our Stay Sharp double-wedge pencil sharpener is perfect for every desk and coloring book lover. We have a thing for gingham! 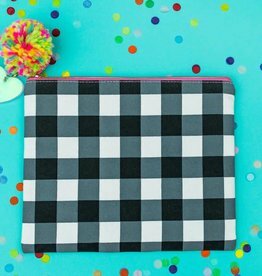 Our black gingham pouch is the perfect way to tote around all the things for work, travel, school and play. Our favorite part is that the multicolored pom and iridescent acrylic heart are included! Quite possibly the most important reminder in all the land....Be Kind!! We could all use this reminder a little more often, don't you think?!? 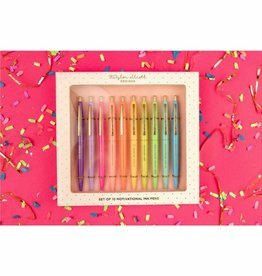 How could this bright multi colored pencil set not bring a smile to your face? 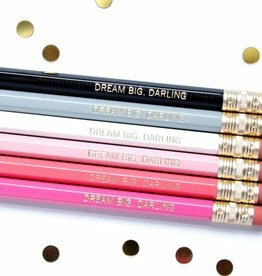 Hopefully these pencils will be a pretty reminder to stay motivated and believe in yourself. Introducing our newest product for all of you pen loving ladies! 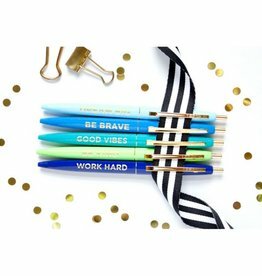 We are crazy about these pens because of the gorgeous shades of blue and the gold accents! 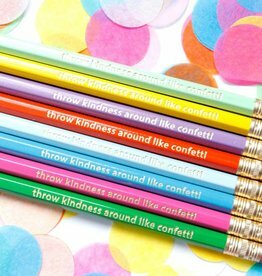 These are perfect for a small gift of encouragement! 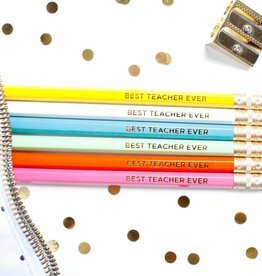 This pencil set is perfect for your favorite teacher! We can never hear this saying enough. 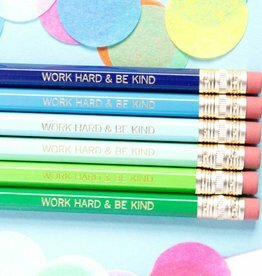 *5 hexagon pencils with gold imprint in green, mint, navy, turquoise and light blue. We love pink and we love poms! 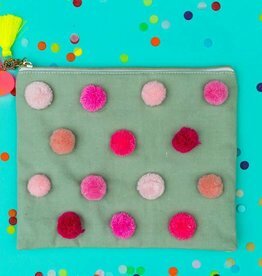 We love our Gray Pom Pom Pouch so much. And that POP of chartreuse gingham on the backside! All the heart eyes! 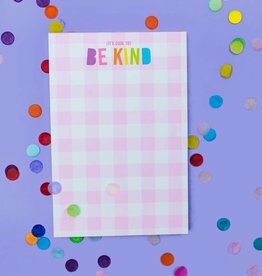 This notepad! It's the perfect give for your favorite teachers! 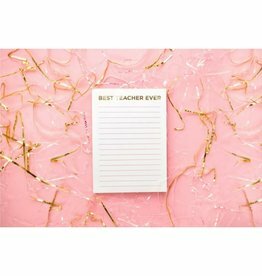 This notepad paired with our Best Teacher Ever pencils makes the perfect gift!